This one is a bit older than you might expect, but it was a bit too funny to pass up and I never got around to writing it. I would describe the background to this game, but it would make the actual battle report less exciting in this case. So without further ado, let's begin. I have rarely played a game where I played more or less normally and accurately until the five minute mark. With that in mind, it's hardly surprising that I not only decided to go 16 hatchery, but also sent the drone behind the mineral line instead of the hatchery location. 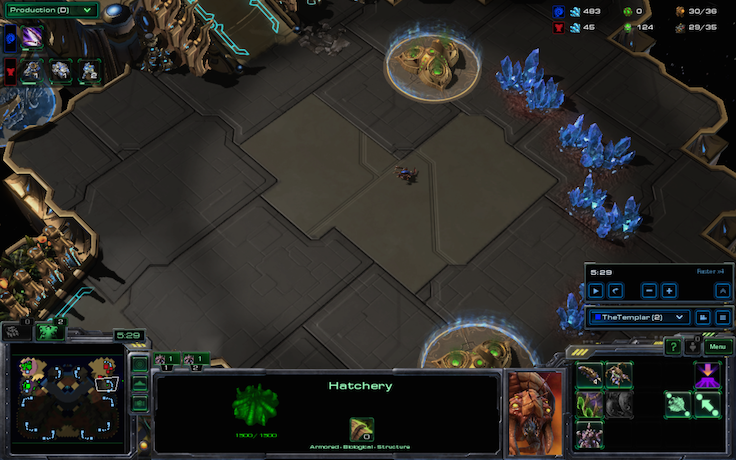 I even made a second overlord before the hatchery, because why not? My opponent is also slightly unorthodox. 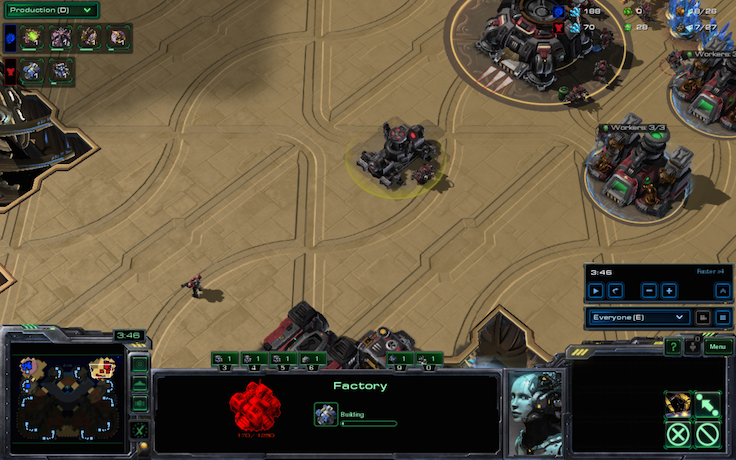 Not only does he start with a factory before expansion, he does so while grabbing two quick gasses. Could it be a high-tech unit rush, such as a thor or a battlecruiser? 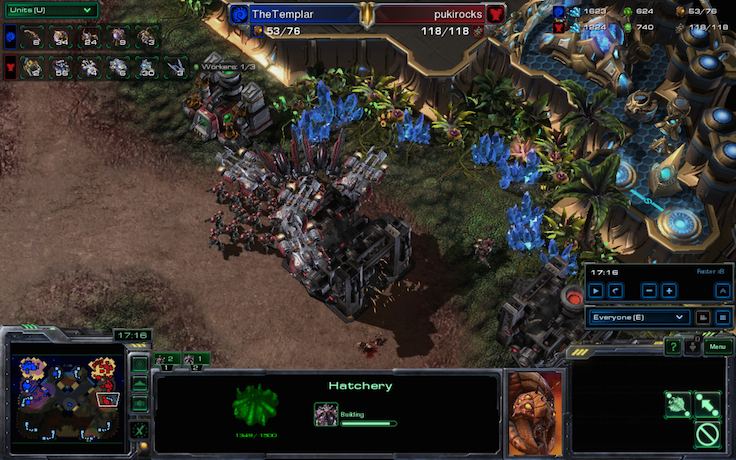 Is it even possible that someone on ladder besides me might even think of such a build? Once I was mothership rushed, but it was a good friend and in a custom, and that's a story for another time. My amazing scouting skills allow me to correctly determine that he was on one base. Even so, I at this point had no idea what's going on. 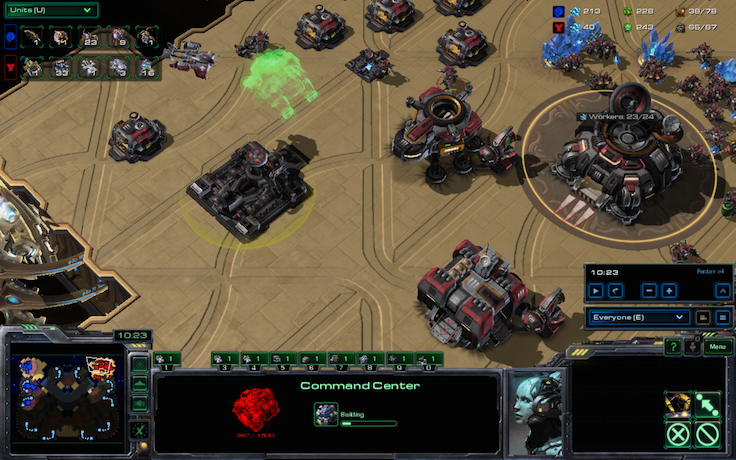 In fact, he pulled a build straight from the year of never and made marines, tanks, and medivacs off of one base. 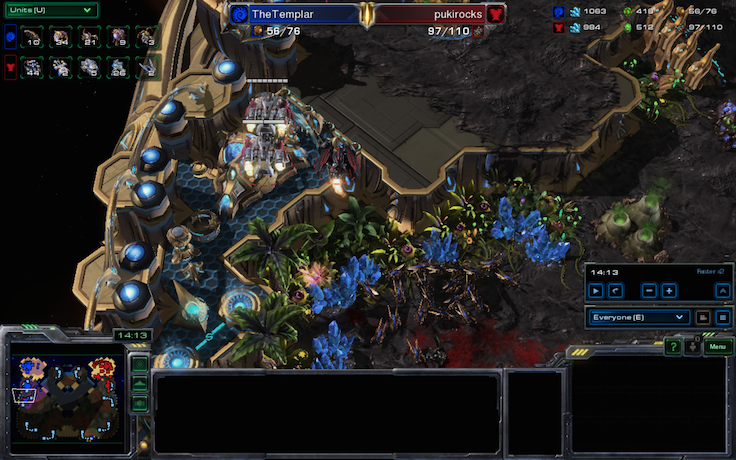 He then picked up two tanks and the majority of his marines and flew to my base. Of course, my well-placed overlord scouted this immediately, but I wasn't actually looking at my minimap. I also went for two base saturation against a 1 base all in. ...One where he leaves half of his units at home. At the moment his marines and tanks landed in my base, I snapped to attention. The situation was clear. 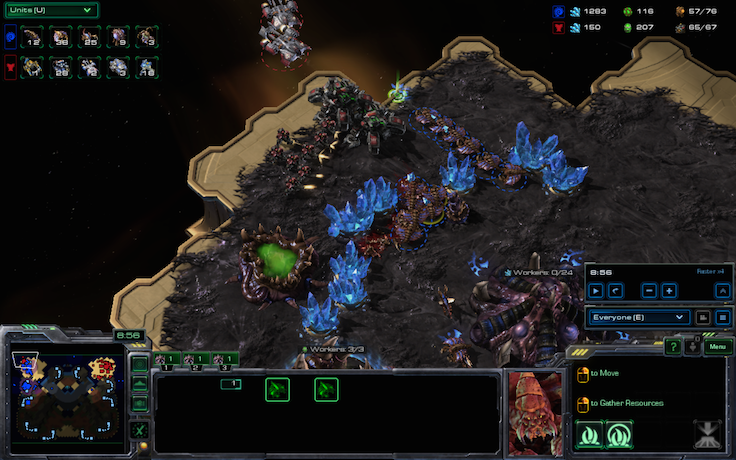 As I had 25 zerglings, not enough to defend, I made the tactical decision to ignore them and bravely sent my drones forward. 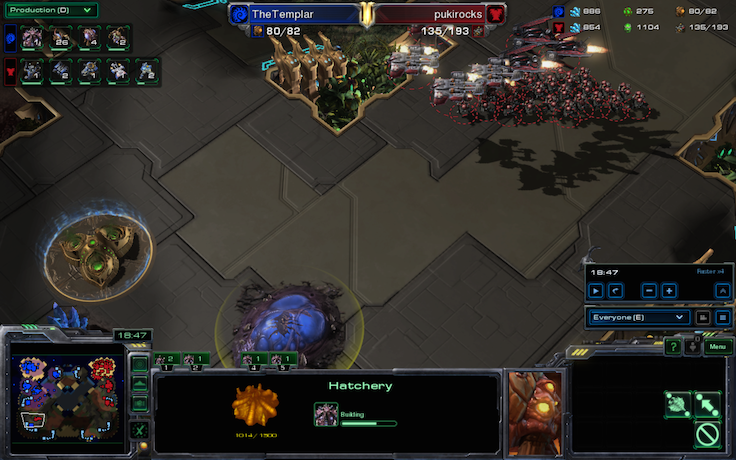 After softening the marines up a bit at the cost of just 11 drones, the zerglings flooded in. I was already patting myself on the back for my brilliant defense. 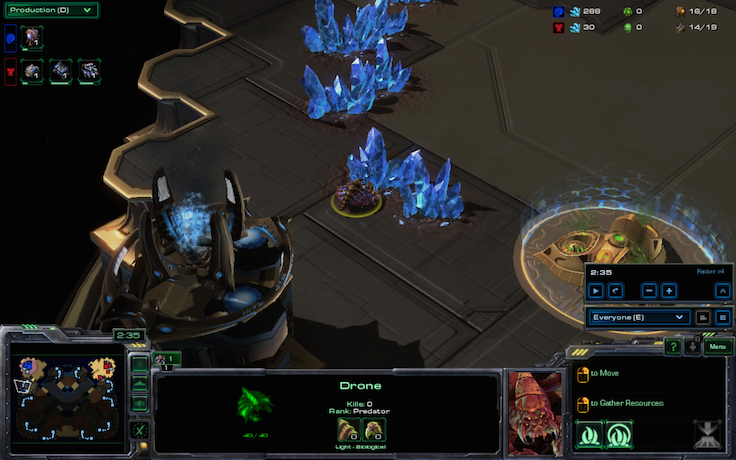 Even so, the zerglings weren't enough to take down the tanks, so I needed more drones. This time, they would be from my natural expansion. Surely nothing could go wrong with my incredible decision making. I even banked 900 minerals so I could rebuild drones faster! What did I do wrong?! This was about the point that I realized what I had just done. While clearing out the last tank, I took stock of the situation. I somehow found myself with just nine drones, and while experts such as Epishade would point out that I increased my worker count by three since the start of the game, I wasn't so sure. My opponent, even having gone for an all-in off of one base, would surely have more than that. Indeed, the situation was worse than even one of Epishade's characters, such as Rock, could have imagined. This was reaching Tefel vs Mvp levels of bad, except with the races in reverse, and now the game had become a question of "how hard can my opponent throw?". While I tried to pick up the pieces, my opponent finally built another command center. Inside his base, of course. After messing around and long distance mining gas, he decides it's probably a good idea to go kill me so that his mining can continue uninterrupted. 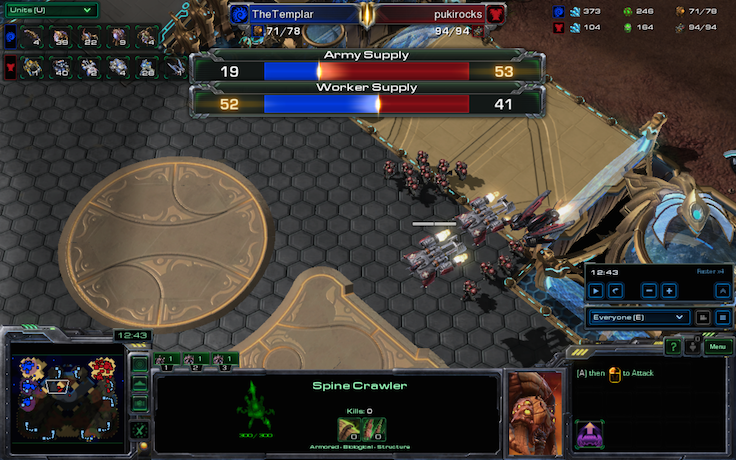 I force an auto-turret while trying to delay his push, and when I attack move towards his army, somehow only a few of my zerglings do anything, and they only kill the turret. My attempts to surround his army only result in him lifting his army. Terran please. 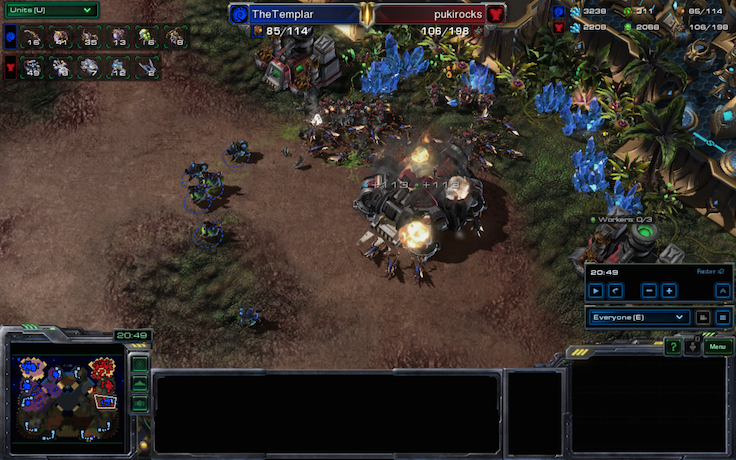 Even so, I hold off this attack with more heavy losses. In order to come back, I decide to expand once per image, starting with the gold base, eventually going up to nearly five bases. This is despite my being at 44 supply against 111 and in desperate need of units that can actually kill stuff. 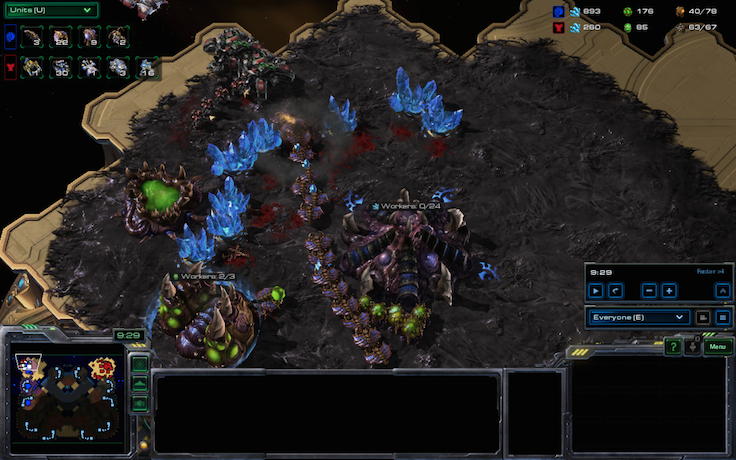 Note that I have made zero banelings so far this game. 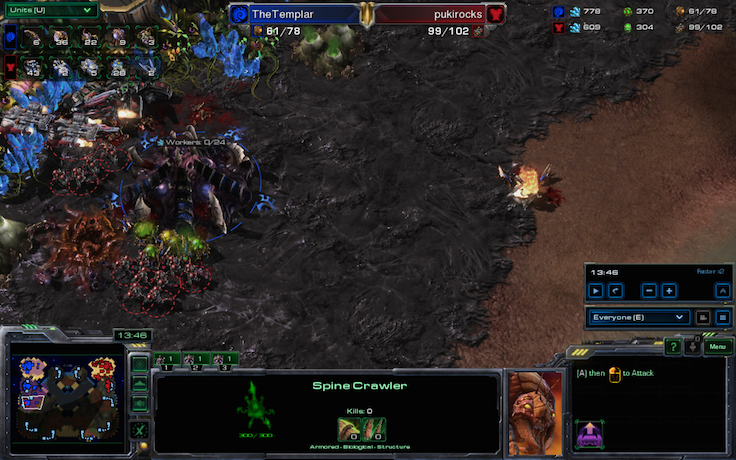 He began to nurse a third base, which I quickly scouted with a zergling. This only emboldened me in my plan to mass expand off of no units. Of course, there was still the matter of actually killing things. 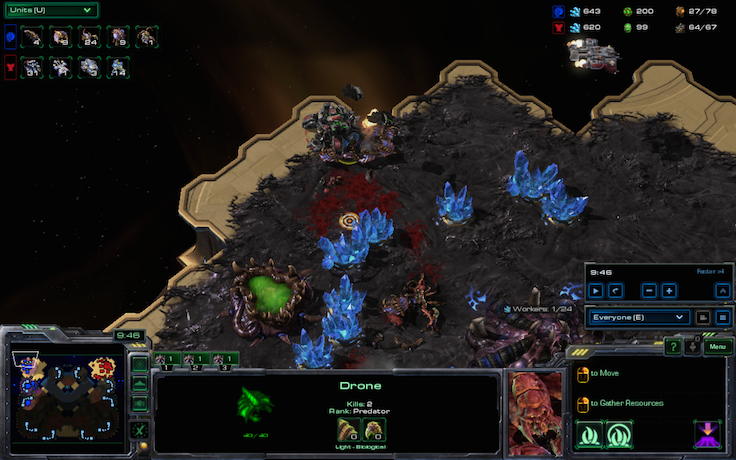 I finally decided on banelings. How can I even afford this? For some reason, he chose an avenue of attack that delayed him as much as possible, meaning I could try to muster up enough forces to hold him off. 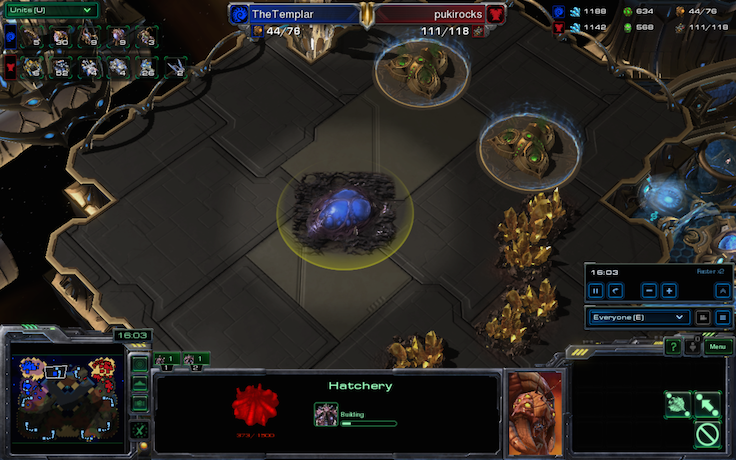 Notice that this time, I'm producing zerglings and not drones. Even though he had more than enough to kill me, my opponent decided to play it safe. After all, he was far ahead. He opted to leave seven tanks at home in case I try anything funny. His attack quickly lost steam without these vital tanks, however. 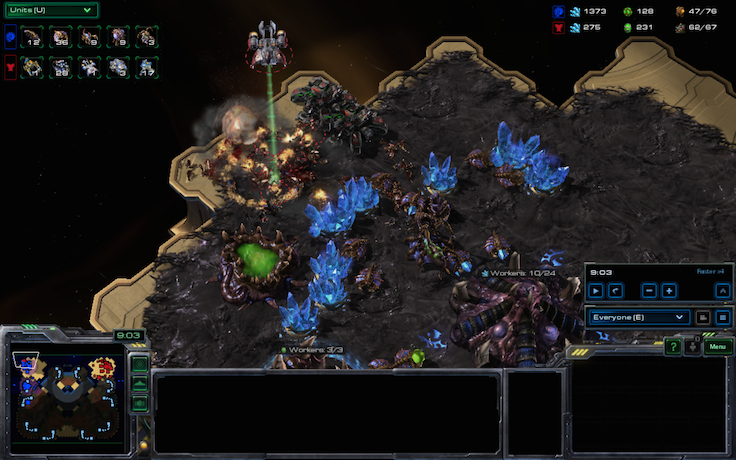 Seeing a possible opportunity here, I counterattacked his third base, and since he was praying for his planetary to finish the CC was killed. Even so, he was still ahead with a vastly superior army... until he left the game. And thus, my opponent pulled a reverse Mvp/Tefel. 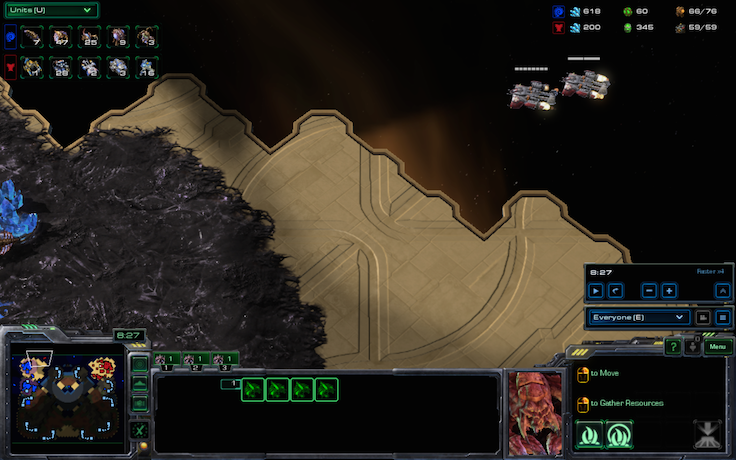 His Terran was enough to destroy my Zerg multiple times over, but through a tragic series of events he managed to throw the game as badly as Tefel did. In order to compensate for my opponent's humiliation in this game, my next battle report will feature me gaining an even larger lead and still blowing it. If you enjoyed this battle report, vote for me in the poll below so that I advance to the next stage of the TLCMAT and thus have an excuse to write more of these. The legendary tale of 27 supply vs 64. I have waited on this for awhile.